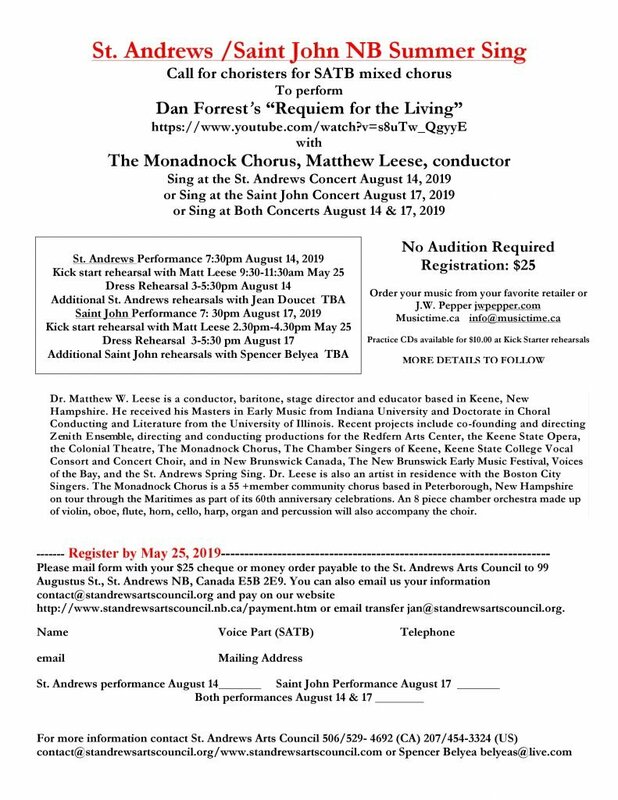 Call for choristers for SATB mixed chorus to perform Dan Forrest’s “Requiem for the Living” with the Monadnock Chorus, Matthew Leese, conductor. Sing at the St. Andrews Concert August 14, 2019 or Sing at the Saint John Concert August 17, 2019, or Sing at Both Concerts August 14 and 17, 2019. No Audition Required. Registration: $25 Deadline: May 25, 2019.